India is a land of the oldest, most magical cultures, religions and customs. People of different religions live in the vast country. It is a land that has fascinated the world with its snake charmers, peacock and elephants on one side, and with the works of Aryabhatta, Shusruta and Tagore, on the other. It is a land of festivities and traditions that leave the world in awe with all the colours and pomp. There are some fun rituals prevalent among Indians, such as the Dhinga Gavar in Rajasthan, where women have their own fancy dress parades, or the Juta Churai Rasam in the weddings, where the bride’s side takes the groom’s shoes hostage, and only releases them on being paid a handsome ransom. There are many more such enjoyable rituals and customs. But, then again, there are some customs and rituals strange and even harmful. Let’s take a look at 10 Shocking Rituals in India. The world dropped the practice of arranged marriages in the 18th century, India is still going strong with the tradition. It’s simple: instead of people selecting their own life partners, everyone else does it for them – parents, distant relatives, friends of relatives, etc. It is not hard to understand, just hard to accept. While people are gradually changing their ideas marriages, for some families, selecting one’s own partner is one of the shocking things that can be done, especially if it is a girl. Class, religion, tribe, horoscope, etc. 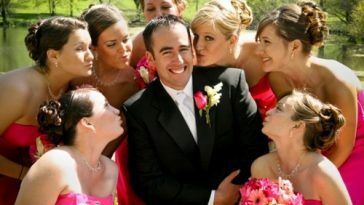 : on the basis of these, the third party is sure to find you the perfect match. Who cares if your mentalities don’t match and you don’t talk for the rest of your lives? 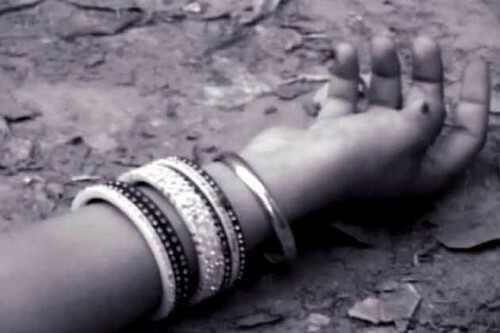 Honour killing, one of the most shocking Rituals in India. 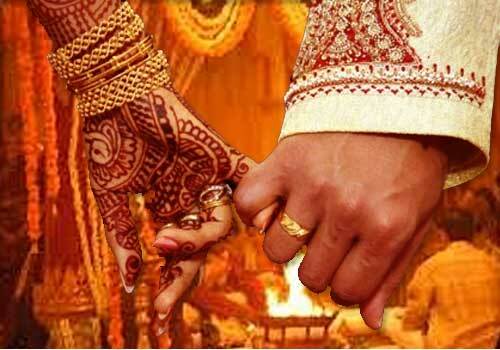 Marriage is more than bringing two people together in India. It is about the union of two families. Particular attention is given to ensure that a person does not marry outside his caste, community, religion, social status, etc. While the rigidity has diminished largely, many communities or families are extremely strict about these things. Apart from marriage, there are many other things they are strict about, like what to wear, whom to talk to, etc. In case a member of their family goes against the rules and regulations, they may be disowned by the family, or worse, killed, for bringing dishonour on the family or community. Traditionally, at the time of marriage, a family said goodbye to their girl with gifts mainly in the form of gold jewellery. This was called Stree-dhan: the property of the woman. However, with time, the practice changed. Families started paying dowry in cash, properties, and even education, to the groom, as a sign of gratitude for taking responsibility of their daughter. This illegal, shocking rituals in India practiced by people irrespective of their religion, is not only demeaning for the woman getting married as her value is measured in terms of money, but puts a great deal of financial pressure on the family. Many brides are killed or tortured for dowry, while their helpless families commit suicide. With many families under the pressure of dowry, is it strange that women are considered a burden? Besides, she may be a threat to the family’s honour, by not being pretty or fair enough to be married, or by getting raped by some perverted beasts who are looming around. Boys, on the contrary, are the torch-bearers of the family, as they carry forward the name and bring dowry. Hence, they prefer female foeticide, which is seen in cities and educated families, too, who choose medical abortion in place of feeding the lady with pregnancy-terminating herbs. They even opt for infanticide by drowning the baby in milk, feeding her salt or oversized sweets, or burying her alive. In India, the legal marriageable age of a woman is 18, and that of a man is 21. However, this shocking rituals in India is something that is still practised, especially in the rural communities throughout the country. Child marriage was outlawed in 1929, and since then, preventive laws and their revisions have been promulgated. But these have often met with protests, particularly from Muslim communities, who prefer that the decision best be left to their personal law. It is an active political issue in the country. While most of the focus is on underage girls getting married, we often forget to consider those underage boys who are given the responsibility of marriage, much too early. One of the most horrifyingly shocking rituals in India is that of baby dropping, mainly performed by Muslims, though Hindus practice it, too. At Baba Umer Dargah near Sholapur, Maharashtra, and Sri Santeswar temple near Indi, Karnataka, this ritual has been prevalent for about 700 years. To be blessed with children, people partake in this ritual, where an infant, two years or even less, is dropped from a tower of about 50 feet, with crowds standing at the foot of the tower to catch the baby. It is believed to bring good luck to the child being thrown down, too. The National Commission for Protection of Child Rights is looking to put an end to the potentially dangerous rite. Indian believe in spirits, and lots of them. They are a superstitious lot, with many prejudices. Horoscope is pretty elaborate in India, with several aspects taken into consideration line day, date, time, etc., down to probably the very nanosecond of birth. Accordingly, some women are said to have “mangal dosh”: such a women are said to endanger the life of her husband. To exorcise her, the shocking ritual in India is to get the woman married to a tree. Another way to exorcise a manglik woman is to get her married to an animal instead of a tree. This mindless ritual is also used to rid the woman of spirits which she believe to possess, if she is born with a deformity, cleft lip, tooth, etc. A very popular ritual in India is to sacrifice one’s hair and offer it to God. People somehow believe that to thank or please God, it is a good idea to make Him wake up with shedloads of hair dumped for Him. So, it is a wide practice to offer locks to God. Some people even take it a step forward, and go bald, to offer all the hair to God. But, even then, they got beaten by the Jains, who have quite a painful and shocking Rituals in India. The Jain saints and monks practice the ritual of going bald by plucking the hair out. They either do it themselves, or have someone do the plucking for them, once or twice a year, as a mark of renunciation of worldly pleasures and to teach endurance of pain. Self-flagellation is something that is practiced not just in India but also Pakistan and Bangladesh during Muharram. Muharram is the first month of the Islamic calendar, and it marks the anniversary of the Battle of Karbala, during which Prophet’s (PBUH) grandson, Hussein ibn Ali, was killed, along with 72 warriors. Shi’a Muslims in the country participate in mass mourning as a remembrance of their sacrifice and martyrdom. A part of this ritual is self-flagellation, where the mourner flogs his own body using chains called Matams, which are often have razors attached to them. They mercilessly whip themselves till they are soaked in blood, but claim to feel no pain in a trance. The formidable Aghori saints of Varanasi are members of a Hindu sect who worship Lord Shiva as the supreme god. They are known for their post-mortem rituals. Also, they consider nothing to be taboo: drugs, alcohol, extremely unconventional practices, etc. They dwell in cremation grounds, smear their bodies with cremation ashes, and use bones of human corpses to make bowls or jewellery. Unlike most Hindu saints and monks, they consume meat, and are openly cannibalistic, as they consume the meat of the corpses. In addition, they are believed to be capable of dark magic. There are several other shocking rituals in India. For instance, polygamy is an illegal practice that is exercised among Muslim Indians under Personal Law, while polyandry is practised by a small sect called the Kinnauris in Himalchal Pradesh. In Tamil Nadu, Timiti is practised as a sign of respect for Draupadi by walking on fire. In Kerala’s Kali Temples, a terrifying ritual of hanging the participants from a shaft, hooked by the skin on their backs. Piercing, bull-fighting, cracking coconut on the head: there are many. Once upon a time, young widows were burnt alive in her dead husband’s funeral fire. This practice has long been stopped. Hopefully, as the majority of the Indians are already turning against these shocking rituals and practices in India, these will not only be legally banned, but socially boycotted too, to be replaced with reason, and more equality in rights and ideas.